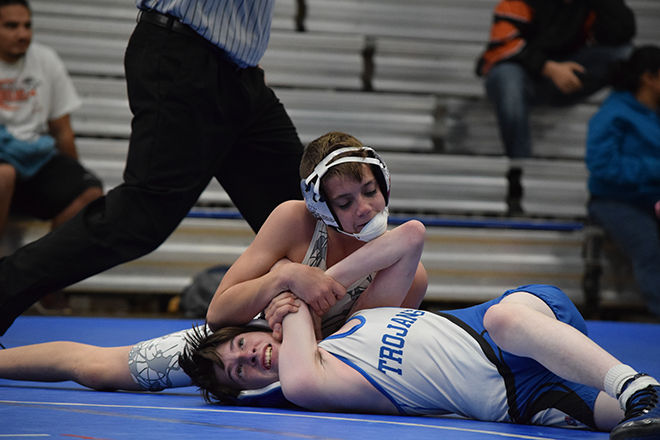 It was a busy week for the County Line Rivals as they wrestled in Las Animas on Tuesday against the host team and Lamar JV and they traveled to Limon on Saturday for their annual tournament. Competition is always tough in Limon and the team had to suffer a few lumps along the way. 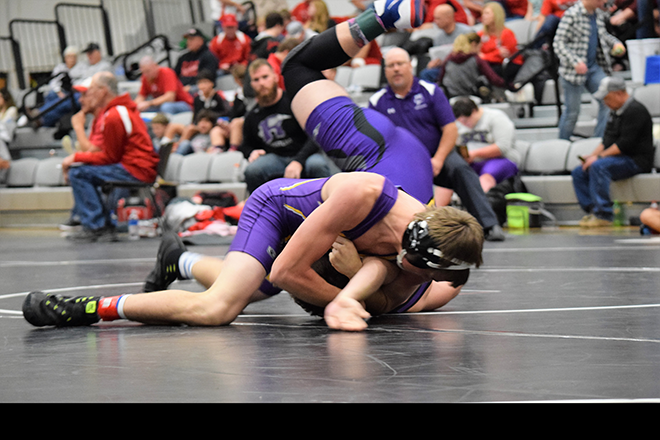 There were 21 teams at the tournament and the County Line Rivals scored a total of 69 points which place them tied in 9th place with Sedgwick County-Fleming. 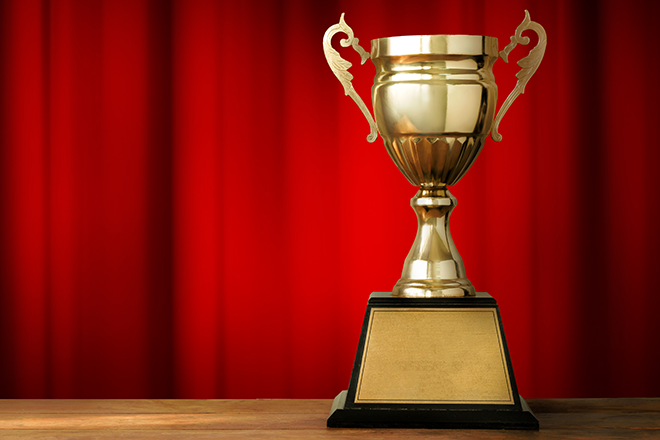 Here are the results from Las Animas Tri Meet and the Limon Tournament. A.J. Wilk - wrestled Jakob Beakley from Lamar and lost by technical fall, 15-0; lost by decision to Jesus Reyes from Lamar, 4-3. Colton Whiting lost by fall to Gavin Page from Lamar in 2:59. Jonathan Burbank won by fall over Gustavo Hernandez from Lamar in 1:49. Sam Wollert won by fall over Ky Kurtz from Lamar in 1:49. Cade Zordell lost by decision to Omar Carrillo from Lamar, 8-5. Zack Fowler lost by fall to Ross Gruenloh from Lamar in 3:48. Jayce Bauer won by fall over Donald Whattler from Las Animas in 0:37. Tate Krentz won by fall over Auron Dunham from Las Animas in 3:49. 106 pounds - Tate Krentz lost by fall to Caleb Rigsby in 4:34. 120 pounds - Colton Whiting lost by fall to Jairo Garcia in 2:26. 132 pounds - Aiden Michael lost by fall to Jose Serrano in 1:56. 138 pounds - Jonathan Burbank lost by decision to Saul Luna, 3-8. 145 pounds - Sam Wollert lost by decision to Brandon Orozco, 2-8. 152 pounds - Cade Zordell lost by fall to Derek Miller in 2:45. 160 pounds - Zack Fowler lost by decision to Anthony Martinez, 5-6. 170 pounds - Trevor Randel won by fall over Robert Townsend in 1:24. 182 pounds - Dawson Roesch won by fall over Pedro Gomez in 3:48. 195 pounds - Jaime Ibarra won by fall over Davian Gallegos in 5:17. HWT - Jayce Bauer won by decision over Alex Castaneda, 3-1. Lamar won the dual 21 - 51. 138 pounds - Jonathan Burbank was the only match against Las Animas which he won by fall over Andrew Rockwell in 0:13. 106 pounds - Tate Krentz won by decision over Alex Paz from Rawlins County (RWC) 8-5; lost by fall to Fernando Salazar from Fowler in 3:00; won by fall over Robert Wairaven from Sedgwick County Fleming (SCF) in 4:10; and lost by fall to Marc Barkdoll from Wiggins in 2:32. Krentz did not place in the tournament. 120 pounds - Colton Whiting lost by fall to Garin Cooper from STF in 1:46; lost by fall to Braden Smith from Yuma in 2:46. Whiting did not place in the tournament. 132 pounds - Aiden Michael lost by fall to David Gardner from Lyons in 1:34; won by decision over Colton Tiemeyer from RWC, 7-3; won by decision over Teddy Gomez from Rye, 7-2; and lost by fall to Tanner Howells-Watkins from Crowley County in 1:59. Michael did not place in the tournament. 138 pounds - Jonathan Burbank lost by major decision to Ethan Burns from Holly, 13-2; won by fall over Jaron Carpenter from Limon in 1:50; and lost by decision to Jackson Firebaugh from Peyton, 10-3. Burbank did not place in the tournament. 145 pounds - Sam Wollert lost by fall to Justin Traxler from Akron in 1:34; and lost by fall to Elten Yarger from Stratton in 1:29. Wollert did not place in the tournament. 152 pounds - Cade Zordell lost by fall to Dylan Palomino from Fowler; and lost by fall to Dustin Moye from Miami-Yoder in 1:40. Zordell did not place in the tournament. 160 pounds - Zack Fowler lost by decision to Jaden Hansen from Yuma, 7-3; lost by fall to Carson Reece from Akron in 3:43. Fowler did not place in the tournament. 170 pounds - Trevor Randel won by fall over Shannon Greer from Calhan in 0:08; won by fall over Taylor Dahm from Kowa in 1:30; won by fall over Thomas Goeritz from Fowler in 1:40; and lost by decision to Maverick Green from RWC, 4-1. Randel finished in 2nd place. 170 pounds - A.J. Wilk, wrestling JV, lost by fall to Maverick Green from RWC in 4:16; won by fall over Taylor Dahm from Kiowa in 1:28; lost by decision to Manny Tena from Yuma, 4-2. Wilk did not place in the tournament. 182 pounds - Dawson Roesch won by fall over Fabian Lopez from SCF in 2:26; lost by decision to Tyson Martinez from Fowler, 7-3; won by fall over Cyrus Green from RWC in 3:25 and won by fall over Fabian Lopez from SCF in 0:48. Roesch finished in 3rd place. 195 pounds - Jaime Ibarra won by fall over Konner Mauck from Lyons in 2:44; lost by decision to Dawson Worley from Cheyenne Wells, 6-4; won by fall over Taylor Scott from Burlington in 2:05; won by match rule over Will Crouse from RWC. Ibarra finished in 3rd place. Heavyweight - Jayce Bauer won by fall over Mullins from Fowler in 4:40; and lost by injury default to Gramm from Burlington. Bauer did not place in the tournament. County Line Rival will be wrestling in McClave this Friday at 6:00 p.m. and will be traveling to Holly on Saturday to compete in their Christmas Tournament. Go Rivals! Photos: top - Tate Krentz getting the pin over Auron Dunham from Las Animas in 3:49. bottom - Aiden Michael working on Gomez from Rye. Michael got the decision win, 7-2. Courtesy Rhonda Uhland.